A baboon touches the breast of a reporter live on TV. Sabrina Rodriguez of the U.S. news channel Fox 40 shows her professionalism when a monkey grabs her chest for a live television report in Sacramento, California. 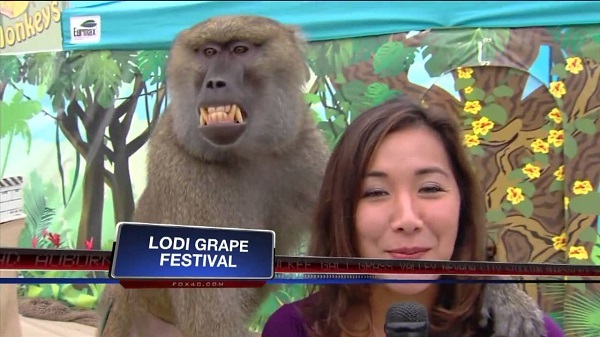 Sabrina was conducting a report on the Lodi Grape Festival when an unusual and uncomfortable situation occured for the reporter.